One of the main SaaS offerings companies are adopting is Microsoft Office 365. The benefits are clear: with Office 365 you no longer have to maintain your Exchange or Sharepoint servers, you resolve many of the licensing issues that can arise with on-premises deployments, and you can access your services from anywhere and at any time, and more. However, Microsoft Office 365 guarantees the availability of your data, but not its protection. As the customer, that data belongs to you and it is your sole responsibility to protect it. It is essential to have enterprise-class protection for your Office 365 deployments, so you can seamlessly recover your data from malware, ransomware, viruses, or any other malicious event, or worse: the chance that data will be deleted by accident through human error. Are you currently looking for a solution to backup your Office 365 data? Look for a seamless way to restore lost data exactly as it was so users can get back on track and stay productive. Retain control of sensitive data as you move users, folders, mailboxes to Office 365. Enable business continuity and meet regulatory compliance with cloud-ready services. Do you require granular restore of multiple Office apps? Look for a backup solution that enables point-in-time backup copies and rapid restore for a variety of Office 365 apps such as: Exchange Online items like emails, calendar items, folders, etc., SharePoint Online sites and items, OneDrive for Business documents, and Groups. Are you looking to avoid complicated installs while you backup Office 365? 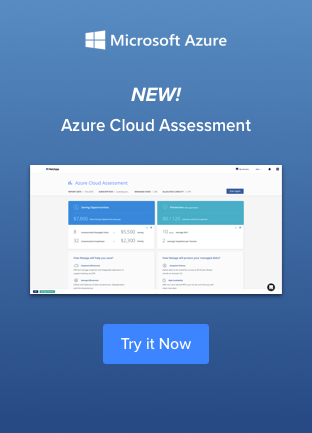 Look for a born-in-the-cloud, Backup-as-a-Service platform for Office 365 that requires no installs, executables or agents. Flexibility should be key - allowing you to select your deployment model, archiving length, backup window and provide advanced search-and-browse features. NetApp SaaS Backup service for Microsoft Office 365 service is a complete SaaS offering that enables you to protect your Office 365 data in the event of accidental deletion, data corruption, or from malicious intent. 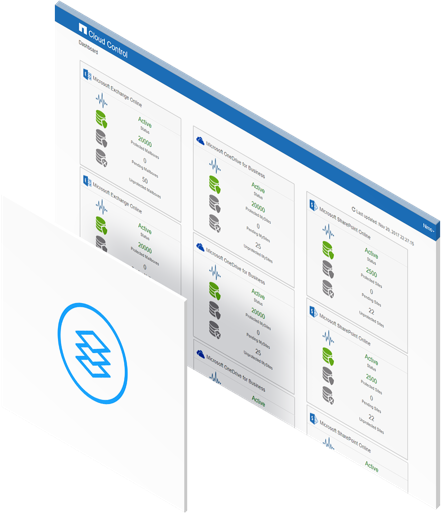 Using NetApp SaaS Backup service you can back up, find, and recover email, calendars, contacts, tasks, site collections, sites, lists, and file data. Even after you’ve moved your data to a protected tier, it will still be unprotected until the first scheduled backup occurs.Therefore, you should perform an immediate back up of the tier where you have moved your data, sothe data will be protected until the scheduled back up begins. If you do not so this, by default, only the most recent backup version will be available for restore. Within each of these services you can restore granular-level items for a single user. You can also restore granular-level items for a Microsoft Office 365 group mailbox, OneDrive list or library, or group site. This ensures that you have the appropriate backup strategy in place at all times.